Here is our standard carbine evaluation course, suggested target is an AT-99. For scoring purposes, the small box is worth 6 pts, center box 5, inside solid line 3, and dotted line 1. All times are par, no alibis. 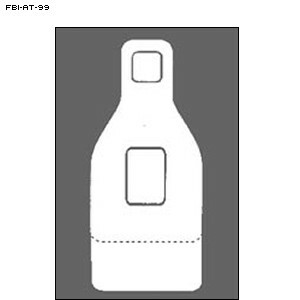 Starting position is weapon condition one: safety on, muzzle below belt, shooter looking at target. I normally have shooters load five magazines with ten rounds each. Stage 1, 50-yards: Load a magazine with ten rounds. Fire 5 standing, 5 kneeling, reload, fire 10 prone. 60 seconds. Stage 2, 50-yards: All shooting is done from behind a 2′ wide barricade. Load a magazine with ten rounds. Fire 5 kneeling barricade, 5 standing barricade; reload, fire 5 standing support shoulder barricade, 5 kneeling support shoulder barricade. 60 seconds. Stage 3, 7-yards: Load a magazine with ten rounds. Fire 2 rounds standing. Repeat 5 times for a total of ten rounds. 3 seconds each exposure. Stage 3: Load a magazine with ten rounds. Fire 5 rounds. 4 second par. Stage 4: Fire 1 round at 2.5″ dot in 2 seconds, repeat 5 times.